Are you looking for quality appliance repair in Tempe AZ? You probably already know how difficult it can be to complete a range repair on your own. You have to correctly diagnose the problem first, then after that, you might need to get stove parts. Why not save yourself the trouble and call a professional? We’re not just anybody—our appliance repair service will help you with your stove repair and get it working like new again! We value all of our customers, and it is our goal to make sure that you never have to call another contractor in Tempe AZ. Our Tempe stove repair service has worked hard to earn the trust of local residents and business owners. We’ve made our business open 6 days a week, and as a result, you can get your stove repaired or get range parts installed when you need it. We work with our clients to make sure that our repairs are done on their schedule—you won’t have to wait or rush in order to get one of our technicians to come out. As soon as you call us, we can be at your place in Tempe AZ. We want to get you the kind of high quality repair that you know you deserve. Call our service today for range repair in Tempe AZ! Have you ever tried to find stove parts on your own? It’s pretty hard. That’s why we make it easy to get range parts in Tempe AZ. After we find out what stove parts that you need, we’ll have one of our technicians deliver them to your home or place of business and personally install them. 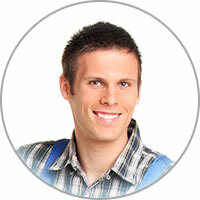 You need an appliance repair business that cares enough about its customers to save you the trouble. Call us today and let us make your life easier! 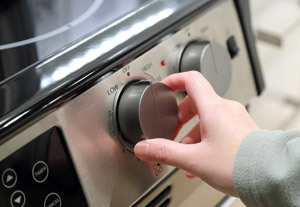 Is your convection stove not cooking food evenly in bake mode? The convection motor could be to blame. This motor accelerates operation of the convection fan, which supports proper air circulation in the oven cavity. You can test the motor with a meter to see if there is continuity. You may also be able to identify if there are problems with the motor bearings by attempting to turn the shaft of the motor. If it turns poorly, the bearings are likely bad. If the motor itself is defective or the shaft is problematic, the motor must be replaced.